“ENDANGERED IDENTITY” (Installation)/”Visual dislocation” 2007th Banjaluka, BIH. “Endangered identity” is installation conceived to be placed in public space. 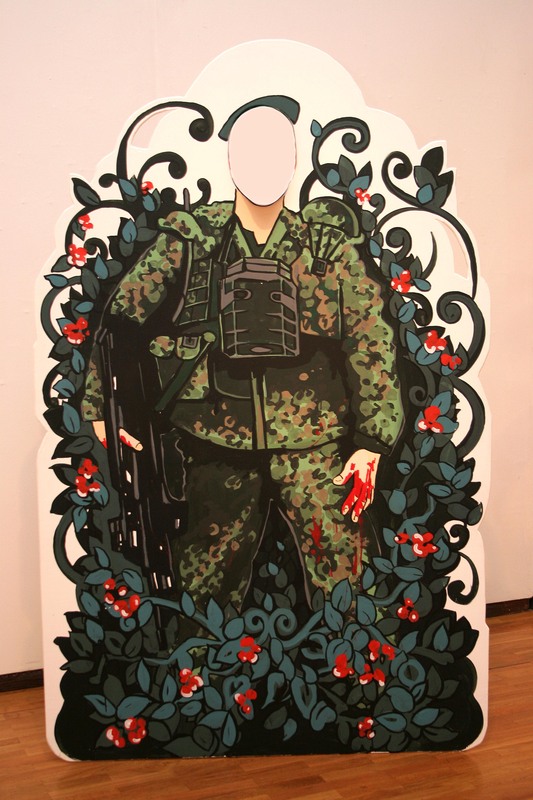 Proposed identities are a gay couple, soldier with bloody hands and abused woman. Identities are offered to visitors to choose. During the opening night of the exhibition, I made photos and the results were: 60% – chose soldier, 30% – chose abused woman, often women chose this panel and 10% – chose gay couple.